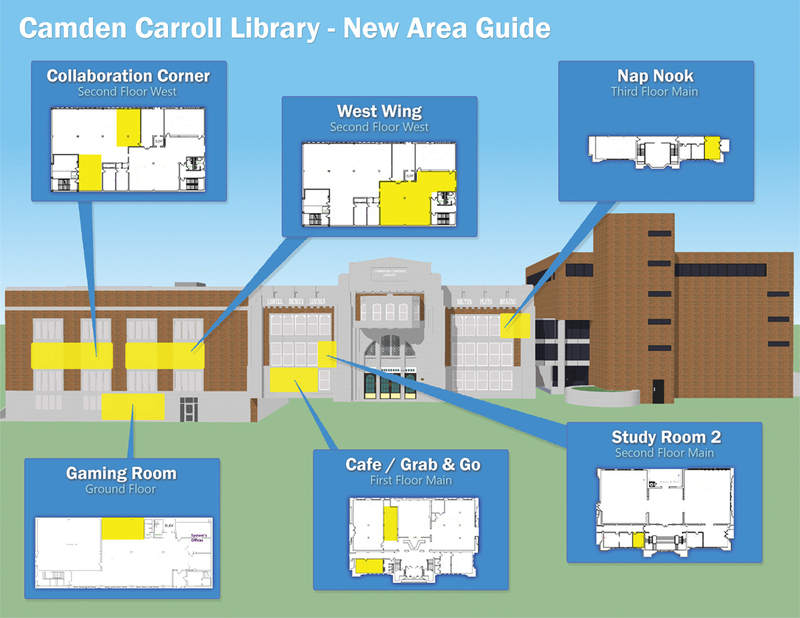 Informational guide for new areas in the Camden Carroll Library created during the 2016-2017 academic year. HeadSpace is an environment to study, connect and thrive at Morehead State University. This project is made possible by several individuals and departments. The community spaces are focused on providing collaboration spaces where students can utilize new technology. In addition to the new learning spaces, there are Café and Grab-N-Go food areas that offer additional dining opportunities.